I’ve been getting a lot of mileage out of the Roku Streaming Stick I bought a few months ago. It’s completely replaced my Xbox 360 for streaming purposes. Also, since the Roku‘s platform neutral (versus Amazon, Google, and Apple’s devices), it supports an extremely large number of streaming “channels.” Admittedly a lot of them are useless for me; there’s a ton of channels that are religious, non-English language, or just seem to be pirated/second-rate public domain material. Netflix is my most heavily used streaming service. While Netflix’s movie selection can be hit and miss sometimes (especially on newer films), it does comes with a wide selection of TV shows. Netflix is also producing more of its own TV shows, which should help make it less reliant on the whims of Hollywood media conglomerates. I paid for Amazon Prime mainly for the faster shipping speeds, after being disappointed with a few items’ delivery speed last Christmas. That said, the video side is fairly useful. While some of it duplicates what’s on Netflix, it does carry its own exclusives, such as Viacom’s material (read: Nickelodeon). Vevo carries a selection of music videos, along with a few unique items, such as highlights from the Grammys. It’s the same music videos one finds on YouTube. Disney Channel offers a handful of episodes of its newest shows on its Roku channel, as well as a few older episodes of classics such as “DuckTales.” However, a cable TV subscription’s required to use this channel. Similar to the Disney Channel, um, channel, Disney XD’s channel carries some episodes of its current lineup of shows, such as “Star Wars: Rebels” and “Hulk and the Agents of S.M.A.S.H.” Again, a cable TV subscription’s required to use this channel. PBS offers a large amount of material on its Roku channel, including new and older episodes of its various documentaries, news shows, and dramas. Since the channel has you enter your local PBS affiliate after installing, it also carries local material your local PBS station might have. PBS offers a separate channel for its children’s programming. New and older episodes and clips of shows like “Sesame Street,” “Dinosaur Train,” “Wild Kratts,” “Arthur,” and more are offered. Google has a channel on Roku for its Google Play video services. Movies and TV shows are available for purchase or rental, as well as access to your Google Play video library. YouTube has a Roku channel, allowing access to the same YouTube material (playlists, etc.) as through a browser. However, it’s not as slick as other Roku channels (or a browser) to use, though usability might improve in time. Besides Netflix, this is the other reason I purchased the Roku. The Plex channel isn’t free (it costs $5, though there’s a 30 day trial), but it ties into the Plex media server software on my Mac Mini nicely. Plex offers a slick interface displaying my computer’s videos with its DVD cover art and/or movie posters. It also shows information about the individual episodes or movies; the information’s pulled from online sources. Hulu Plus: Hulu has a Roku channel as well. However, since it’s tied to the non-free Plus service, which I don’t have, I haven’t tried the channel out. Watch ESPN: ESPN has a Roku channel that’s tied to a cable TV subscription. It offers the various ESPN cable channels, as well as the streaming-only ESPN3 service. ESPN3 carries stuff that didn’t make it to its TV counterparts, such as Canadian curling contests, some soccer matches, etc. Roku Media Player: This channel’s Roku’s default DLNA software, as an alternative to the Plex channel. Like Plex, it can play any video streamed from my computer; however, its interface isn’t as slick as Plex’s. 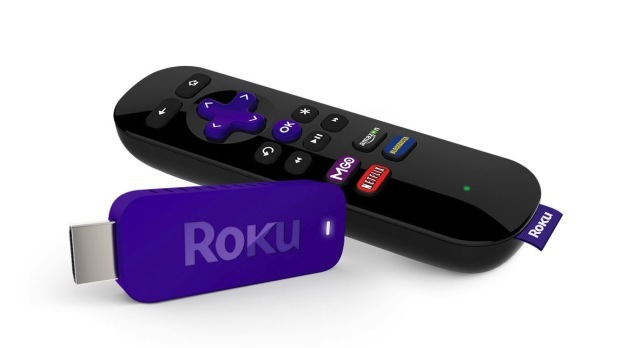 Which Roku channels do you enjoy using?